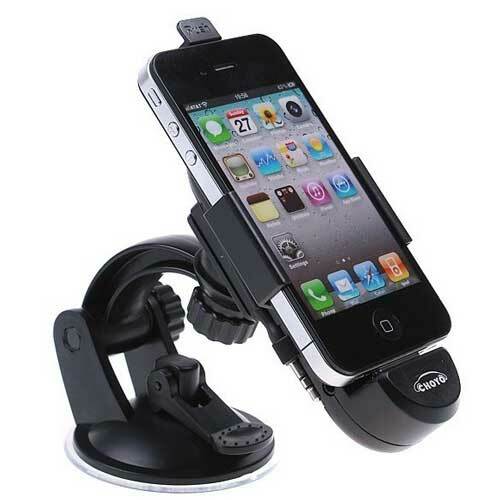 iPhone car dock is very useful for enabling you to do handsfree calls, browse through phonebook comfortably and safely, listen to iPhone music in car along with navigation, instructions and other app audio through speakers, dock or remove your iPhone with one hand and mount on the dash or windscreen in vertical or horizontal position and rotate the phone with a twist even on the go. You can charge you iPhone too while on the car dock. 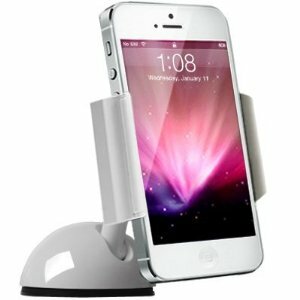 Thus iPhone car dock is an extremely useful accessory for an owner of iPhone. 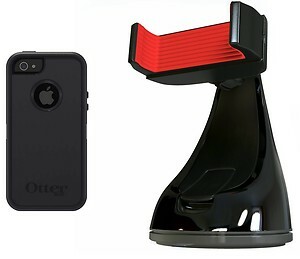 Let’s see ten of the best iPhone car docks of today. 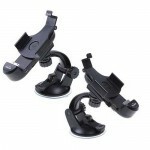 Choyo iPhone car dock is perfect for use for all versions of iPhone like iPhone 3G, 3GS, 4 and 4S. It can be easily mounted on dash or windscreen or vent in vertical or horizontal position. You can enjoy any iPhone audio, including music, calls, GPS, video etc. hands-free because of this dock. It includes charging holder, audio cable, cigarette charger, USB cable and vent clip. And it also includes retractable audio. Montar is a durable car dock with a suction cup which boasts of a “super-secure suckage” just suitable for off-road and “severe” driving conditions. 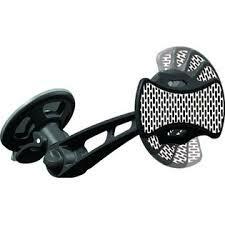 Koomus car dock will stick to your dash or windscreen, offering you 360-detree rotation while in place. If you don’t want that location, you can clean the 3M gel pad with water and re-position the dock. 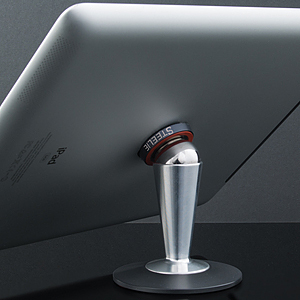 Nite Ize Steelie mount kit consists of two components – the iPhone socket and a ball mount. 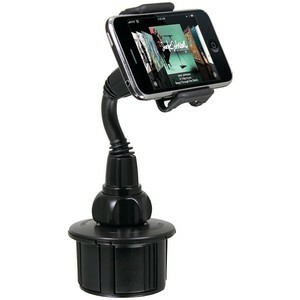 These two cling together securely so as to be easy-to-use iPhone car mounting. Universal is a removable dashboard mount which offers a perfect alternative of holding phone in place where windshield mounts are illegal. The lever-action suction cup of Griffin Window Seat 3 grips either your dash or your windshield so as to offer you eye-level iPhone viewing. 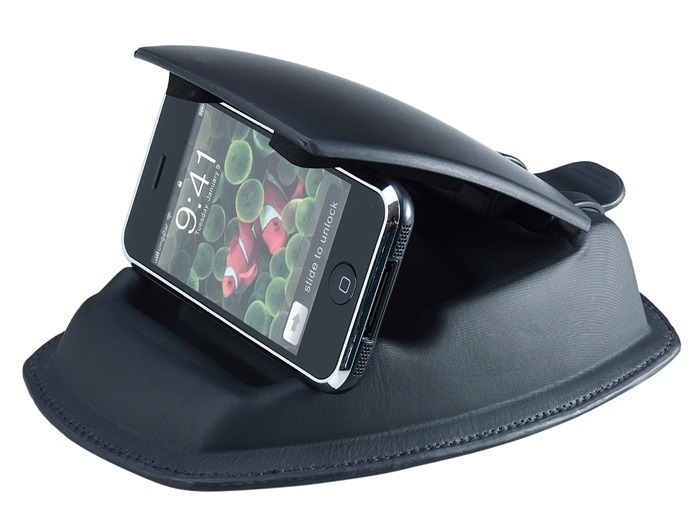 Macally is an adjustable iPhone car dock and is perfect if you want to keep your iPhone handy but not at eye-level, because it fits in the cup holder of your car. The sly sticky pad of Clingo holds your iPhone in place and its multi-axis adjustment provides innumerable viewing angles. Kenu Airframe has been regarded as the most portable car mount for smartphones in the world. It weighs less than 1 ounce. 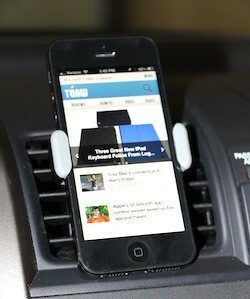 It attaches to any shape air vent to clip the iPhone safely in place. 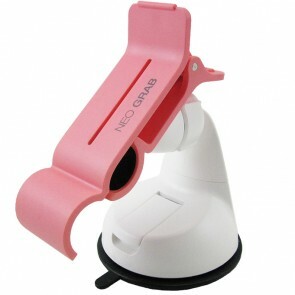 NEO GRAB is available in white, green, black and pink colors. It is a fun alternative to boring plastic holders in black color.